The grower linked to Australia’s recent rockmelon listeria outbreak has been cleared to recommence the production and sale of rockmelons again. 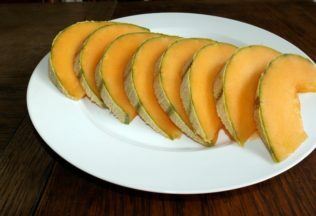 In March 2018, the NSW Food Authority identified Rombola Family Farms in New South Wales as the source of a rockmelon listeria outbreak that was linked to the death of six Australians. Rombola has now been approved by the NSW Food Authority to resume production, packaging and sale of rockmelons again after meeting all requirements of the NSW Food Authority’s Clearance Program. In a statement released today, Rombola said while the NSW Food Authority identified a link to Rombola as the source of the outbreak, neither the Authority nor an independent microbiologist identified any specific source associated with Rombola or with its washing, storage and packing facilities for rockmelons. Rombola said its management and staff are saddened by the impact the listeria outbreak has had on the community and rockmelon industry. “Rombola adheres to the strictest food safety standards, operating a clean, hygienic and highly-regulated facility in the NSW Riverina,” Rombola said in a statement. Rombola said it will recommence supply this week.